Data journalism is on the rise in Brazil since the Access to Information Act came into force in 2012. 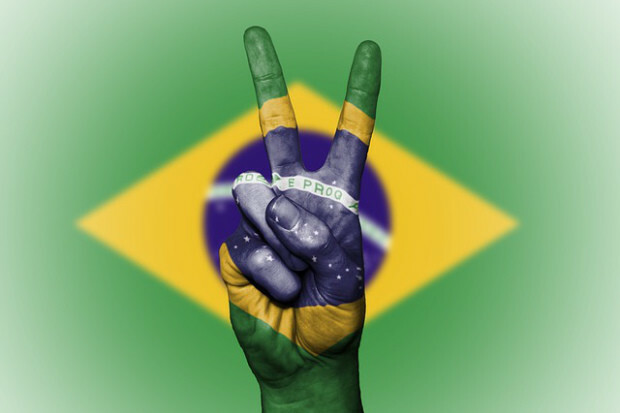 Similar to the UK’s Freedom of Information Act, the law guarantees public access to data provided by the Brazilian authorities. Within five years, the community of data journalists, programmers and hacktivists grew to nearly 200 individuals, and the spirit of collaboration, rather than focusing on exclusives, prevails. Their hub? A WhatsApp group. Their objective? Bringing transparency and support democracy. Their superpower? Spreadsheet skills. “Democracy in Brazil is young and people are still learning how to vote and the consequences of it,” says Marília Gehrke, journalist and PhD student in communication and information at the Federal University of Rio Grande do Sul, speaking at the European Data and Computational Journalism Conference last week (21 June). Gehrke explains that the Federal Constitution is only 30 years old and although it says that everyone has the right to know how public departments operate, it wasn’t until 2012 that the authorities were legally obliged to publish their non-confidential information. Most of the data, such as budgets and public expenditure, is already available on the government website and more can be made available upon request through an online portal known as e-SIC. The catch is, according to Gehrke, that the authorities are not always willing to collaborate. "Requests of information concerning the federal government have gone from 86,000 in 2012 to over 120,000 in 2017,” says Gehrke, adding that this illustrates public’s growing appetite for transparency. Most of the requests are made by journalists and all individuals must register before making a request. This isn’t without privacy issues as those who work for public authorities and provide data know the identity of those making requests, thus increasing risk of reprisals. Another difficulty is data validation that makes it necessary for journalists to repeatedly work with the authorities. Despite these hurdles, public departments remain the main source of information for data journalists in Brazil. The sector is still in its infancy, as “many journalists have yet to learn how to use spreadsheets,” says Gehrke. She explains it’s not easy to persuade journalism students to take up subjects like statistics or coding, as many come from humanities or literary degrees and struggle to warm up to STEM. This makes data gathering, scraping, cleaning and analysing rare skills to come by in Brazilian newsrooms. But all these efforts are starting to pay off. In February this year, Estadão, one of the largest national newspapers, published a story about tax avoidance amongst judges who collectively failed to pay R$ 360 million in taxes because of a specific set of benefits, such as housing assistance, food aid and health care. 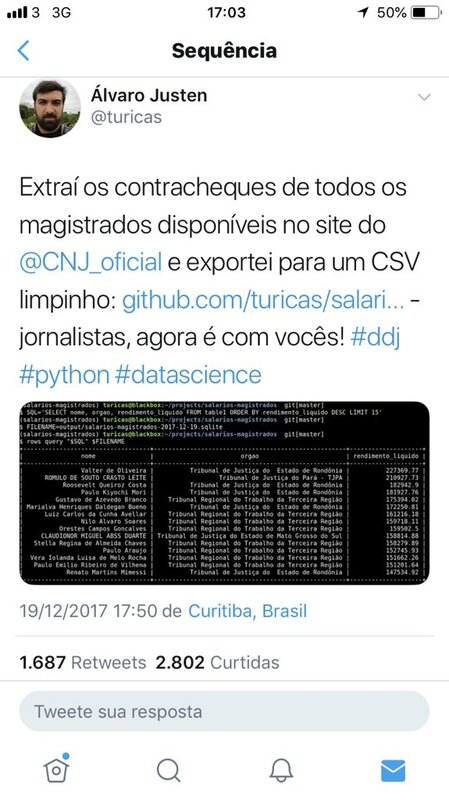 The data concerning 18,000 judges in 81 federal courts was released by a hacktivist Álvaro Justen, who published a CSV file on his twitter account for journalists, bloggers and publishers to use. “There is a sense of community amongst data journalists and programmers in Brazil,” says Gehrke, “because they are such a small group of people. They gather at conferences and regular events where they share data and help each other learning new data journalism methods. Interested in analytics for journalists? Come along to our training course on 17 September for specialist training designed to develop your understanding of using analytics for story ideas.